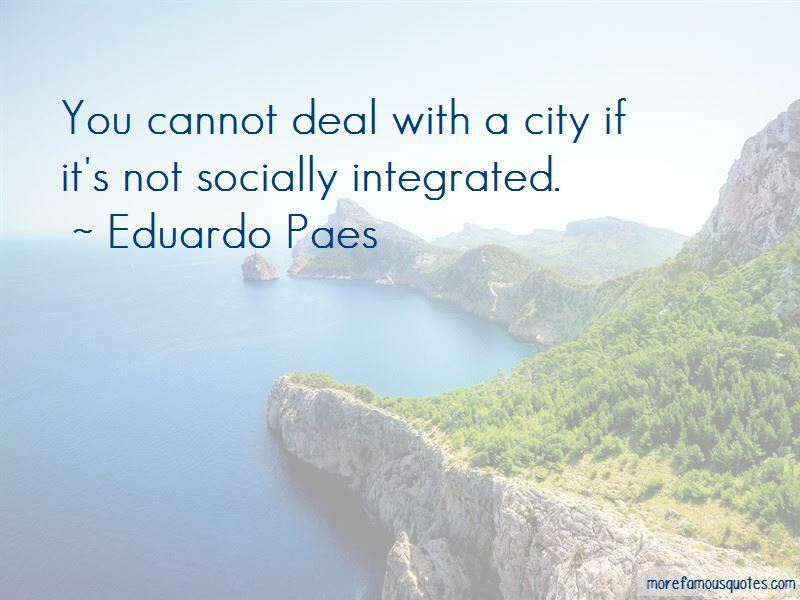 Enjoy the top 30 famous quotes, sayings and quotations by Eduardo Paes. Don't ever in your life do a World Cup and the Olympic Games at the same time. This will make your life almost impossible. I don't want to compare my city to Zurich; thank God we're not that boring. 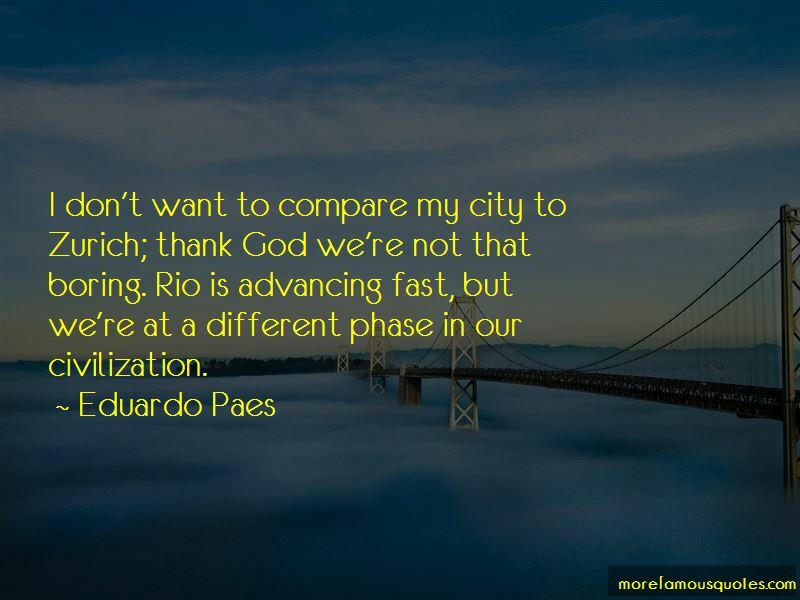 Rio is advancing fast, but we're at a different phase in our civilization. Rio will have to look after the legacy of infrastructure. But it's unclear who will run the sports centres after the Olympics. 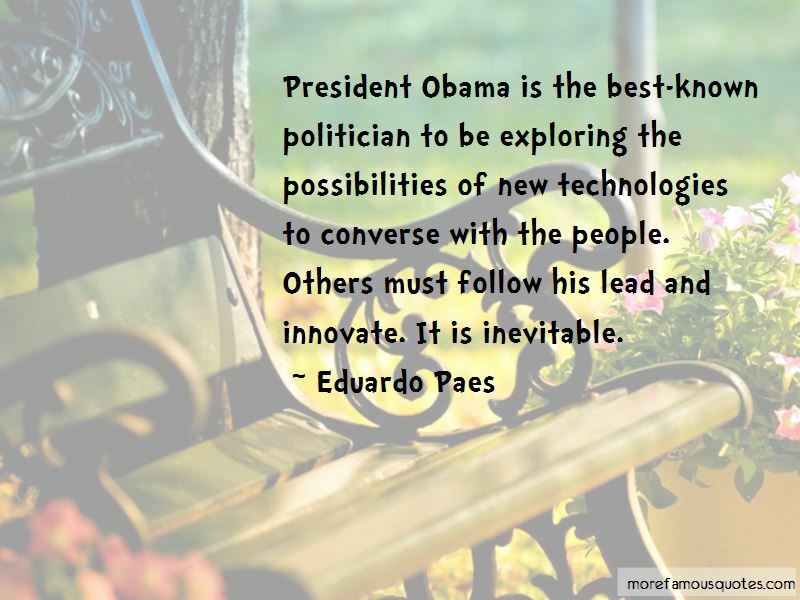 Want to see more pictures of Eduardo Paes quotes? 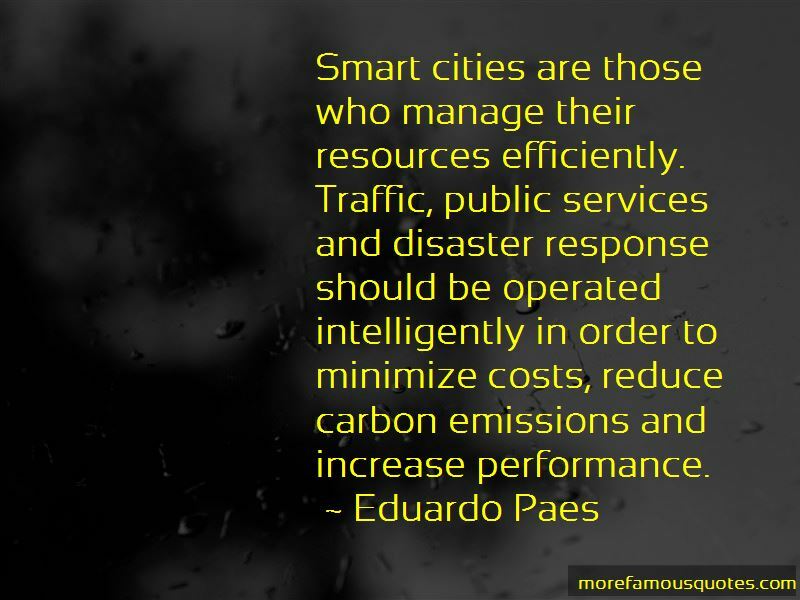 Click on image of Eduardo Paes quotes to view full size.